Headquartered in Chester, Connecticut, Cable Prep was founded in 1979 as Ben Hughes Communication Products Company. Since that time, Cable Prep brand tools have been setting the industry standard for performance, reliability, and ease of use. Meeting the Highest Standards … Yours! By focusing on the unique requirements of each application – drop, hard-line, wireless, or fiber – we are able to design innovative tools that are easy to use. We know that accuracy and consistency are essential to both worker and network performance, so we ensure that our tools provide the precision needed, time after time. Everything at Cable Prep centers around performance: tool performance, network performance, installer performance, our performance. We listen attentively to those who install and maintain systems equipment, so that we can design tools to make their jobs easier. Through constant communication with manufacturers of cables and connectors, we ensure that our tools work well with their newest products. By talking with those who buy our products, we are able to keep our pricing competitive and our tools readily available to meet demand. And, by watching our competitors’ responses to our initiatives, we are assured that our products are held in high esteem. To make a claim, call Cable Prep toll-free at 800-394-4046. Upon authorization, U.S. Customers may ship product prepaid to Ben Hughes Communication Co., 207 Middlesex Ave., P.O. Box 373, Chester, CT 06412. Customers outside the continental U.S. must ship product to point of purchase. Damage occurring during transit is not covered by this warranty. 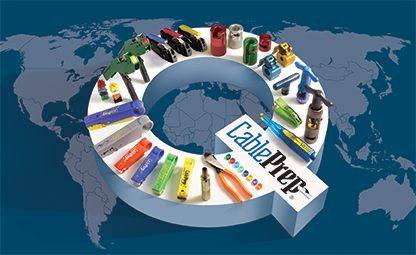 Cable Prep makes its tools readily available through a network of over 50 top national and international distributors. Cable Prep manufacturing processes and quality meet the certification standards of ASR (American Systems Registrar). 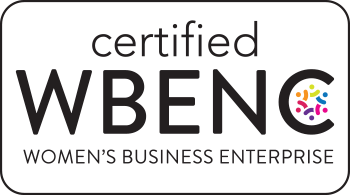 Cable Prep, as a minority-owned business, also is a member of WBE (Women’s Business Enterprise).